One of the largest secure, private, real-time groundwater level data banks in the world is located in Dartmouth, MA. 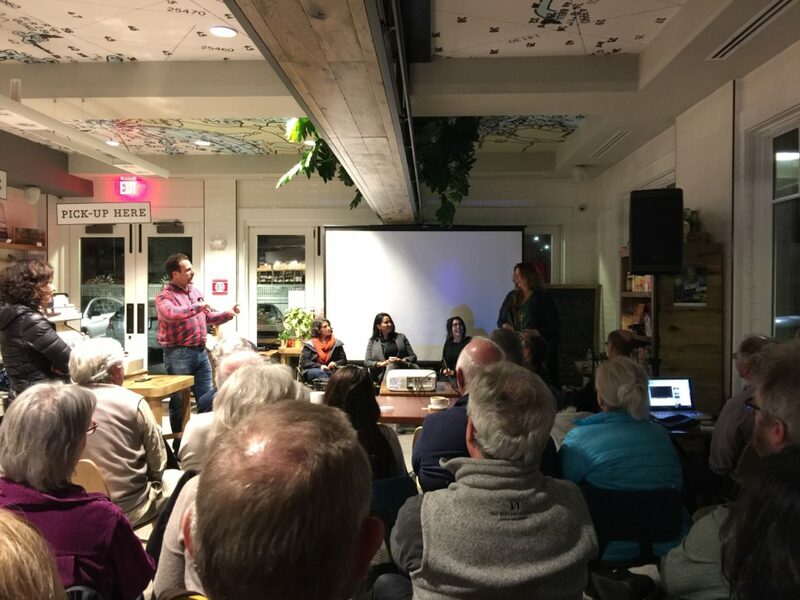 Last week, in front of a packed house at Farm and Coast Market, Chris Rezendes of Impact LABS urged members of the Dartmouth community to be proud of their role in the movement to build more accurate, reliable, and useful models of our groundwater/ freshwater resources. The Dartmouth groundwater project involves both private residents and small to medium sized businesses, who have installed sensors that measure the depth to water in their wells. With access to this data, residents and businesses alike can see how their water usage affects each other, helping them to make smart decisions about how much water to use as individuals, and how to think about this shared resource as a community. According to Rezendes, the water monitoring project in Dartmouth can pave the way for the rest of the world. One example is the Missouri River basin. LABS is developing a plan to instrument groundwater in the Missouri River basin to get factual data about the location and quality of water, as well as to monitor any effects from local development projects such as the Dakota Access Pipeline. On the other side of the world, LABS is in discussions with Singapore and Sharjah, UAE, to play a role in deploying sensors for smarter management of urban infrastructure, security, and transportation. Rezendes was joined in Dartmouth by Maria Dayton of TransTerra Media, Nicole Break-of-Day, Rachel Tribble, and Liz Wiley — all leading innovators and investors putting technology to work for people in indigenous and rural communities here, in Native lands and further afield. TransTerra Media trains and empowers journalists on the ground to produce content and retain the rights to their stories. Maria Dayton explained how the TransTerra video journalists are regular citizens who produce ground truth in conflict-ridden areas such as Syria and Iraq. Nicole Break-of-Day and Rachel Tribble are leading initiatives to invest in technology that can complement traditional ways to help make Native communities more resilient, and enhance their access to data about their lands. Liz Wiley is leading the LABS committment food security, piloting projects with dozens of local food producers. These stories and efforts combine to depict a future where technology enables and empowers new leaders to build better communities, use our resources wisely, and create wealth. The pragmatic, technology-driven approach embraced by the LABS team invites us to tackle the grand challenges of our time armed with ground truth that can enhance trust and spur progress.